MWI is a digital marketing agency that creates customized strategies for every client. With each strategy, our principles remain the same. That’s what makes us different. We talk with you often so you can stay up to date on our progress, and we can quickly respond to the changing needs of your business. We work with you to create a customized growth plan with short-term goals, long-term goals, and everything in between. Our team is made up of creative, technical, and management experts, so projects get done well and are delivered on time. We’re partners with every client, so we take responsibility for your success by treating your business as though it were our own. 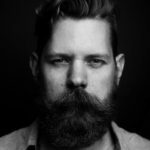 MWI has been a great resource for Beardbrand. As a small, bootstrapped company, we’ve appreciated the flexibility MWI brings. Organic growth is a vital part of our business and they bring strategy, execution, and great communication to the table. I’m always fully confident they will deliver on their promises and have recommended them to several of my entrepreneur friends. At MWI, our primary goal for each client is the same: deliver results that will help your business grow. To do so, we rely on a team of talented designers, developers, strategists, writers, and execution experts. We’re on a never-ending quest for the best talent out there to join our growing team. Finding and hiring the best isn’t easy, but it’s worth it. It’s the only way we can deliver the outcomes your business needs to succeed. Take a look at the services that MWI’s team of experts can provide for your business.